Antique stores are a mixed bag. Sometimes they’ve got junk at exorbitant prices. Sometimes they’ve got treasures at dirt cheap prices. This week I encountered the latter. 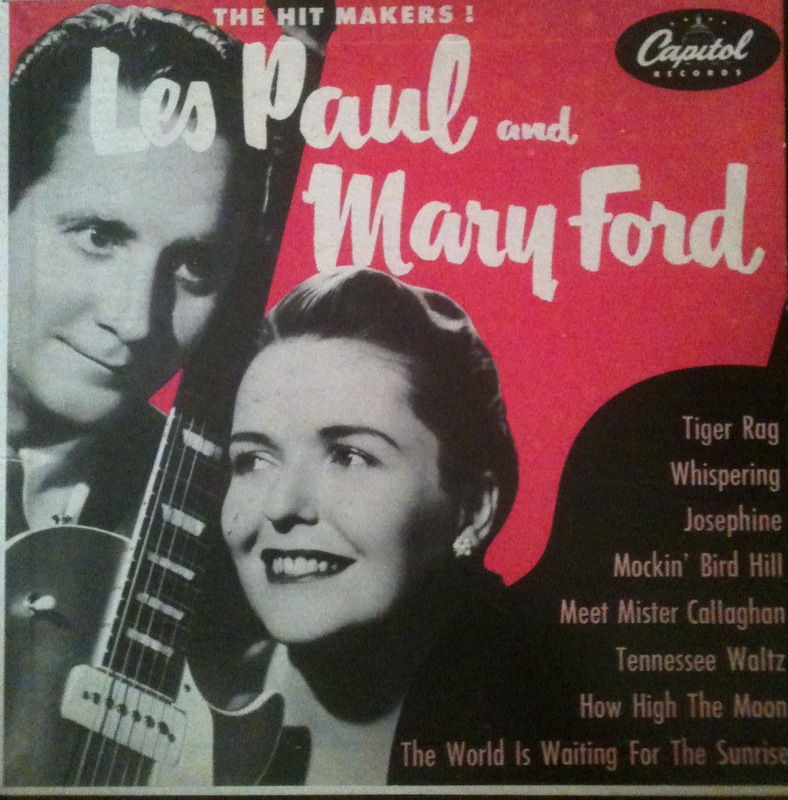 Check out Capitol Records EP H416, Les Paul and Mary Ford * The Hit Makers. 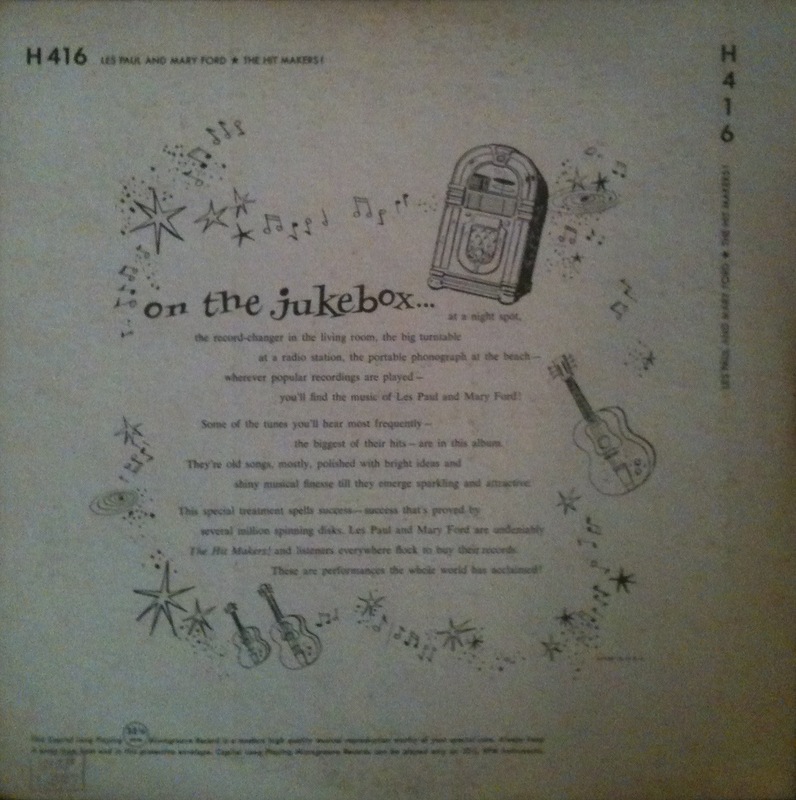 This record is vintage 1953 and the cover is in superb condition. Awesome guitar and jukebox graphics on the reverse side and a rockin’ font type. I snatched up this wax for $2.75. The record has a crack through one side, but plays like a dream anyway. The cover was worth the purchase alone. It’s ok to drool, daddy-o. This entry was posted on December 3, 2011 at 11:55 pm and is filed under Music, Retro Finds. You can follow any responses to this entry through the RSS 2.0 feed. You can leave a response, or trackback from your own site.